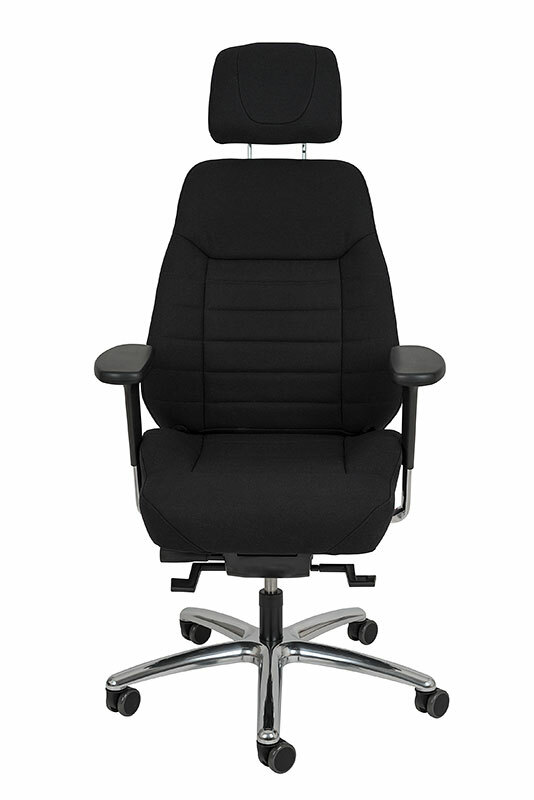 The Save Three and Save Four office chairs are designed for 24 hour / 7 day use, in control rooms for example. 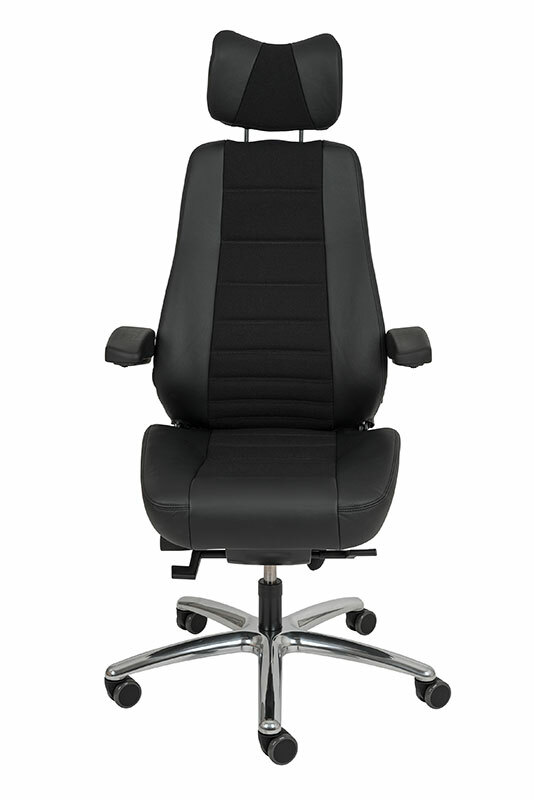 They can be used in a fixed position (3 positions possible) or in free-swinging mode, permanently movable. The Save mechanism can be adjusted to the weight of each user. 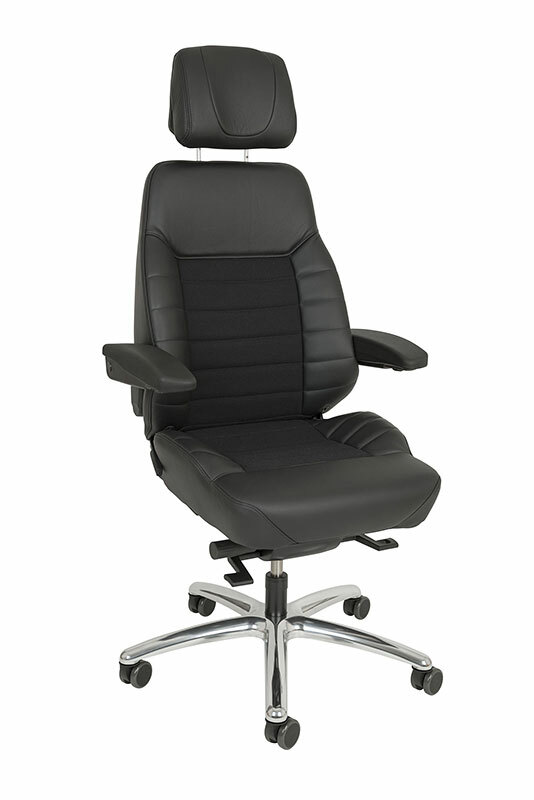 The right setting permits a correct sitting and working position and extends the life of the chair. 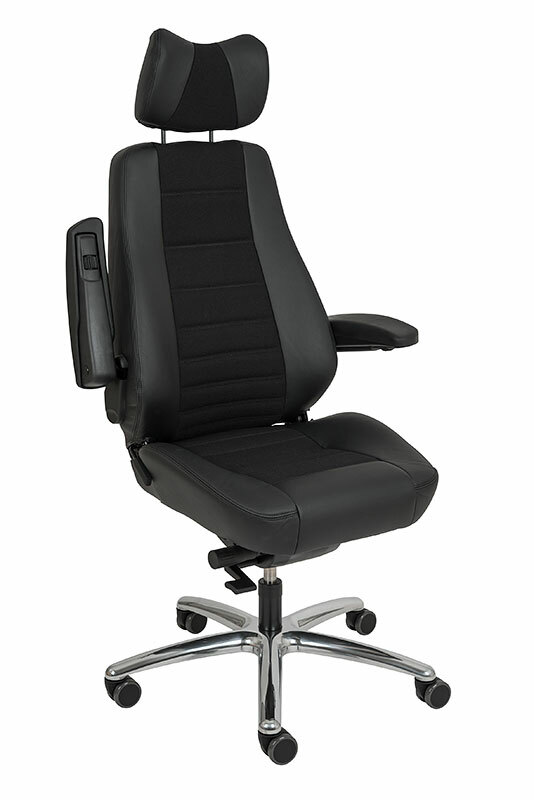 An inflatable lumbar support permits exact adjustment to support the body and ensure a low-fatigue sitting position. 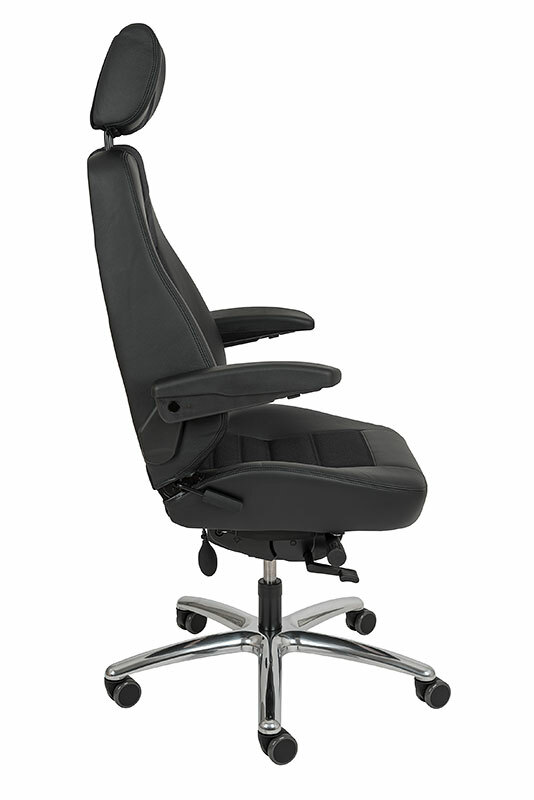 The folding armrests can be adjusted in angle using a knob (handwheel) on the underside of the armrests. They can be folded away upwards. 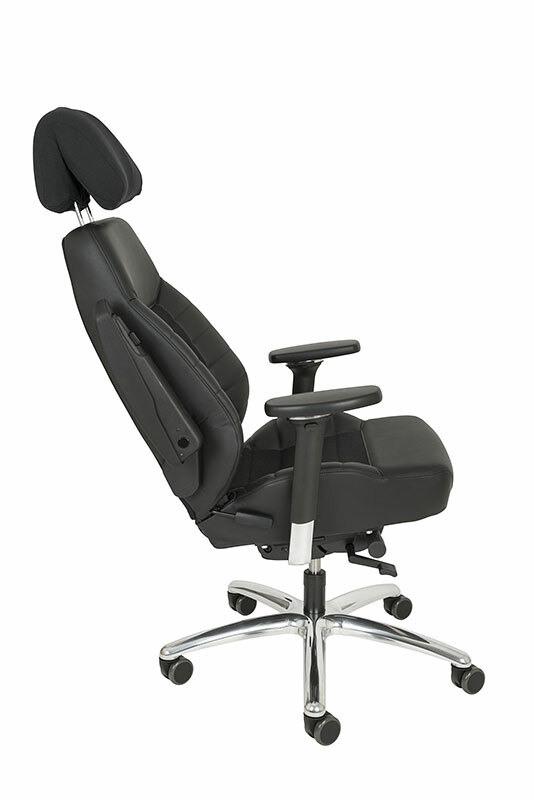 The backrest angle is adjustable, the neck support in height and angle.